The best marketers tell us which trends will come and change the digital marketing world as we know it! 2017 has come and taken us by storm, and here at Cyberclick we wanted to start the year off right by analyzing the digital marketing trends that will succeed during this year. Fill in the form to your right and get instant access to the 35 trends that will change digital marketing in 2017! 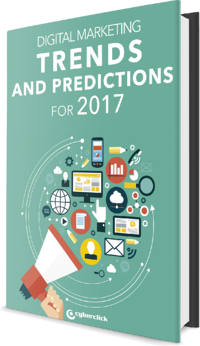 Download the Digital Marketing Trends for 2017 here!